Group A: Atletico Madrid, Borussia Dortmund, Monaco and Club Brugge. The Chelsea 18-19 home kit was revealed this morning, ahead of a debut in this weekend's Premier League game away against Newcastle. It's already available to buy. AC Milan just confirmed that Adidas and they had agreed to prematurely cancel their contract, originally valid until 2023, at the end of the current season. adidas FC Bayern München New 2017-18 Away Kit has been introduced. Photos inside! 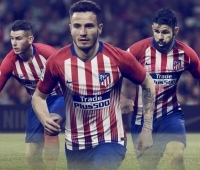 Besides the obvious release of the new home, away and third kits, Adidas will also bring out a completely new lifestyle and training collection for the club. Today, we can give you an early look at a number of items from said Adidas Manchester United collection, ahead of the full launch in a few months' time. adidas has revealed the official match ball for the knock-out stages and final, accompanied by a stunning limited edition cleat pack. The Dragon pack celebrates Wales, host of the 2016/17 UCL Final, and their national emblem which famously appears on the Welsh national flag. As Spurs released new aerial pictures and renders of their new stadium, we take finally take a look at Tottenham's new £400m home, which is being built on the same extended site as their current ground. 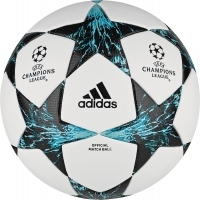 The first picture of the Adidas 2017-2018 Champions League ball has surfaced on Twitter. Based on the well-known Adidas star panels Champions League ball design, the Champions League 17-18 ball introduces a stunning look. 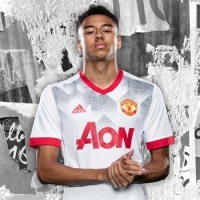 Adidas just released a new pre-match top for Manchester United, set to be used for the remainder of the 2016-17 season. England is set to shortly announce an extension of its current kit supplier contract with Nike, sources in the UK are reporting. NBA is finally back today. To celebrate the return of the world's best basketball league, we decided to show off the work of graphic designer Alexandre De Sève from Montreal, Canada, who has created a stunning set of football kits inspired by a selection of NBA teams. The first real pictures of the Seasonal Specials Track Top and Windbreaker have been leaked, giving us an even better look at the retro pattern. The new Barcelona 2016-17 third kit introduces a bold design that draws inspiration from many iconic, teal-colored away shirts worn by the club since the 1990s. 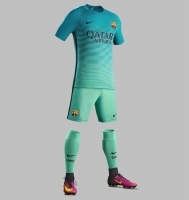 Made by Nike, the new Barcelona 16-17 third kit was released on September 27, 2016, two months after the new Barça home and away jerseys. Nike and Paris Saint-Germain just officially released the club's new third shirt. Similar to last season, the PSG 2016-2017 third kit is not based on Nike's 'global' template and instead follows a different and unique approach that draws inspiration from the city of Paris. The new Champions League season kicked off. 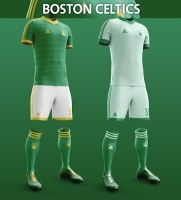 Let's have a look at group A team's Kits. Yesterday, the new Champions League season kicked off. 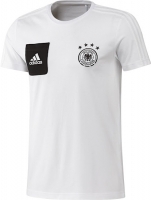 Let's have a look at group A team's Kits. Nike Football reveals the new Inter Milan third kit with Dri-FIT technology. Nike Football reveals the new AS Roma third kit with Dri-FIT technology. 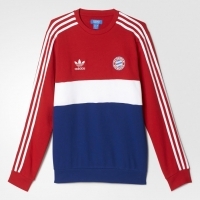 Joining the likes of Manchester United and Real Madrid, Bayern Munich is the latest high-profile Adidas team to receive a new Originals collection this month.